Rekeying a lock is a process where the tumblers inside the locking mechanism are replaced to fit with a new key. 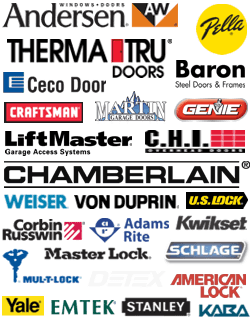 Our locksmiths can rekey all kinds of locks for homes, offices, and cars in DC. Lock rekeying is a popular option after keys have been stolen, there have been attempted break-ins, or someone was locked out due to lost keys. We are DC Local Locksmith Experts, a complete locksmith service in Washington, DC and surrounding areas. We offer a unique 24/7 locksmith service ready to help you with any lock problems and or concerns. Our company specializes in commercial locksmith services, emergency locksmith services, automotive locksmith services, and residential locksmith services, all of which are offered around the clock. One of the quick and affordable services we provide is lock rekeying. Why should you consider rekeying your locks? Perhaps your car key was stolen, you recently moved into a new home, you were the victim of a burglary, or you would like to have all the locks in your office use the same key. Even if you have the original keys, there is no way for you to know how many duplicates are out there. These are some of the reasons you may choose to rekey the locks on the doors of your home, place of business, or other secure location, and we want to be the company to help you. Our team of experts will be able to assess if a lock rekey is right for you. Our complete locksmith service offers a specialty lock rekey option because a complete lock change can be expensive and unnecessary in certain situations. By rekeying your locks, you can keep your locking system that you have in place and just receive a brand new key. 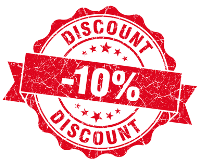 You will also receive our trusted upfront pricing so your money will not be wasted. This might seem like an easy job but keep in mind, this is no DIY project. Your safety is at risk so hire one of our professionals to make sure that this job is done correctly. To properly rekey a lock you will want a trained professional, which our company can offer you. 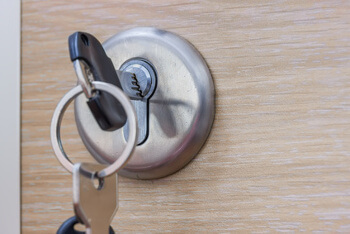 Our expert technicians are bonded and insured and will make your lock rekey experience simple and safe, whether it is for your home, car, or business. Our team can help assess whether the locking system needs to be replaced or a simple rekeying service can do the job. DC lock rekeying is a process where the tumblers inside the locking mechanism are replaced to fit with a new key. This process became possible in the 1850s when inventors named Andrews and Newell found a way to replace the tumblers. When you rekey a lock, the old key can be thrown away as it will no longer fit in the lock. This will ensure that previous owners will not be able to enter your new home. After the tumblers are changed, the lock will require a new key that corresponds with the new tumblers. Once a new key is matched, then your lock will be ready to operate with your new key. We can rekey your locks at a significantly lower cost than full replacement of the lock. Rekeying your locks is just as safe a choice as if you went and completed changed the lock system; however, a full replacement may be required if the locking mechanism is damaged. Our company takes our business seriously and you will see that in the professionalism of our mobile locksmiths and our 24/7 locksmith service, which includes nights, weekends, and even holidays! We can work around your busy work schedule to make sure your locks are working and secure. We stick to a strict 30 minute response time to service calls in Washington, DC and surrounding areas so that no matter what lock emergency you are experiencing, we can have your new locks in no time. With 5+ years of experience and high tech equipment, you are sure to receive qualified and precise service. We pride ourselves on being honest with our customers so you will always receive upfront pricing no matter what service you require. At DC Local Locksmith Experts, we are fast and friendly and can get you back to feeling safe in no time. Home, Office, and Car Lock Rekey https://dclocallocksmith.com/lock-rekey-dc/ 4.1/5 based upon 18 reviews.